Parameter in Range rule is often used to monitor conditions of food, beverages and medicines transportation, etc. Install a temperature sensor and connect it to the tracker. Create the Parameter in Range rule and set that the in-range value should be more than +33.8 °F (+1 °C) and less than +35.6 °F (+2 °C). Once the sensor measures that the temperature is less than +33.8 F (+1 °C) or more than +35.6 °F (+2 °C), a notification will be instantly sent by the monitoring system saying that the value is out of range. You’ll be able to take immediate measures to keep your products fresh. Select SET RULES and click on the Add rule button. 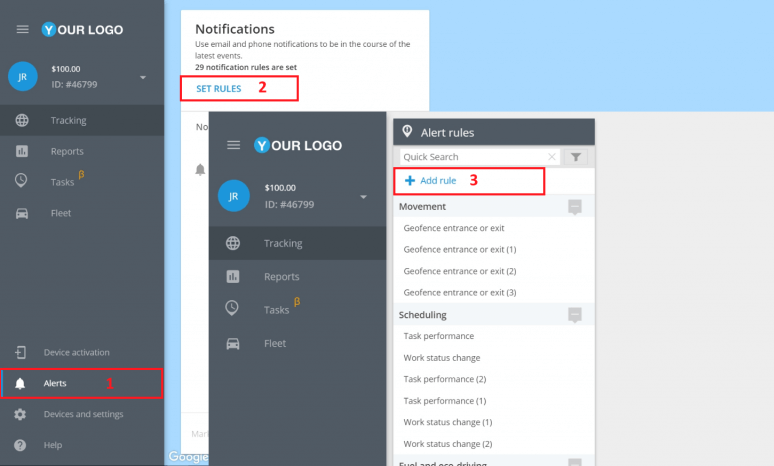 Choose the trackers to be monitored by this rule. 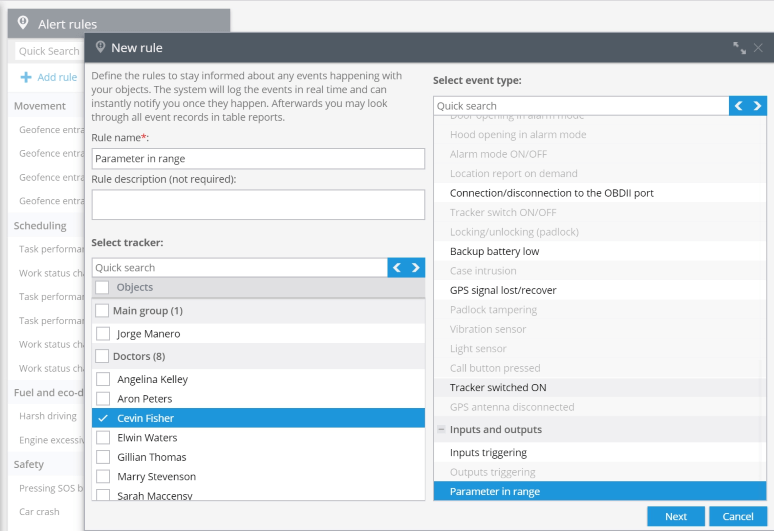 Select the Parameter in range event type and click Next. When the rule is added you should set its options. Set minimum and maximum values in ”more than” and “less than” fields. The range between these values will be deemed as “in range”. Set the value threshold. The notification will be sent if the values exceed the set values by the value threshold. 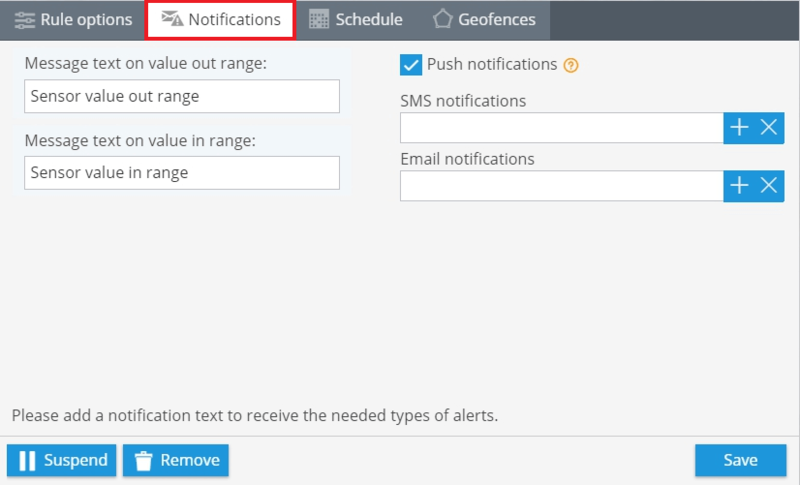 Type the text of the messages and choose notification type. If you don’t need notifications in either case, delete the text from the text field. 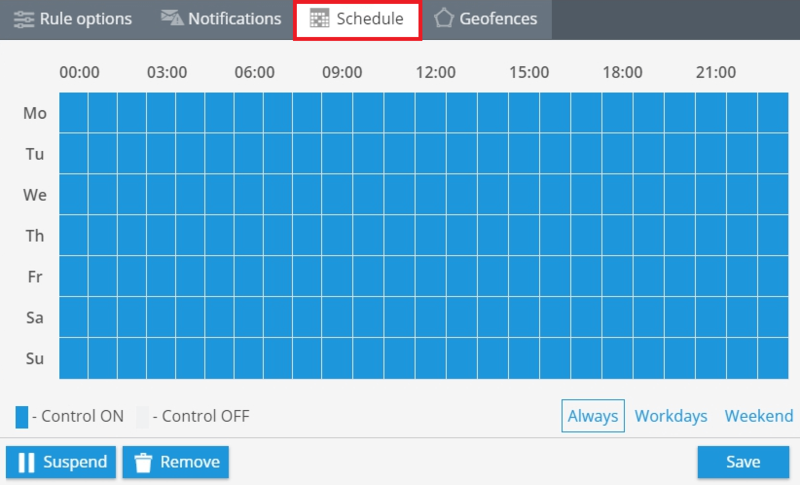 Here you need to select days and time when you want to monitor your objects. 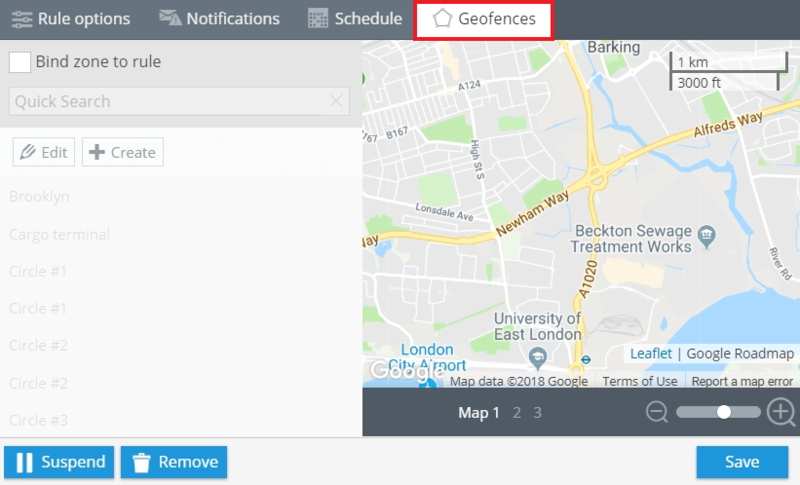 Here you can choose a geofence within which the rule will be monitored. 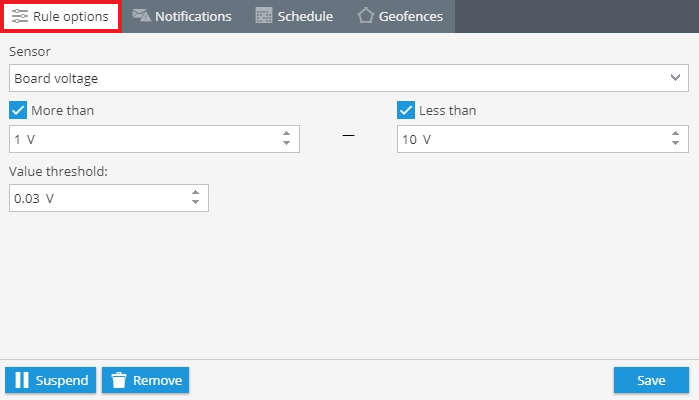 It’s also possible to create a new geofence.